Apparently, former first daughter Chelsea Clinton is being positioned to run for president in some future time after her mother leaves office — should her mother win office in 2020. I say this because of the spate of high-profile Chelsea appearances in recent days such as the Stand for Roe event she hosted in New York City. This event was organized to oppose the confirmation of Judge Brett Kavanagh to the U.S. Supreme Court. Clinton’s apparent signature issue — as it was for her parents — will be unlimited access to abortion at any point for any reason, preferably taxpayer-funded. 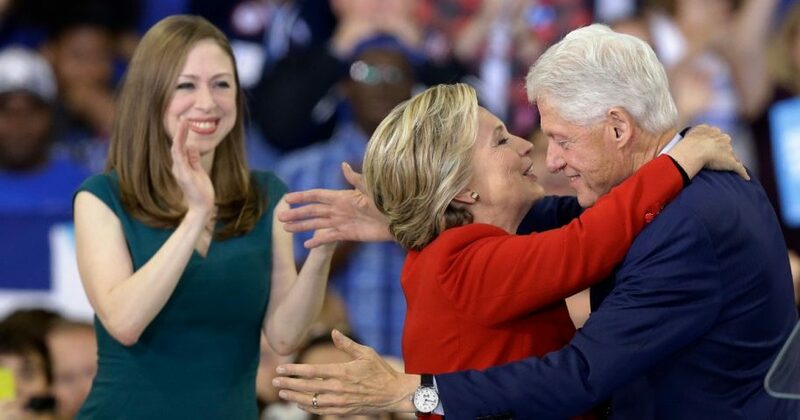 The senior Clintons elevated such access to a religious crusade — see Rabbi Jonathan Cahn’s bestseller “Paradigm” — and junior Clinton is following their footsteps. Yet — unlike her parents — Clinton’s statements make her appear ridiculous, and not for the first time. She debuted on the national stage in 2011 when NBC News hired her for $600,000 to do puff pieces on — for example — the Geico gecko. She was sort of laughed off the air after a few months due to the utter lack of gravitas in her subjects and the lack of discernable personality in herself. Now she is back for another go, and this time she told her audience the 60 million legal abortions performed since 1973 had added $3.5 trillion to the American economy by freeing women to go to work without the burden of childbearing. Her statement made about as much sense as asking the CGI gecko if he enjoys his work. Reality is that studies show the U.S. Treasury lost an estimated $16 trillion in tax revenue since Roe v. Wade due to contributing workers having never been born; meanwhile, the national economy lost about $35 trillion according to other credible estimates. What progressives often fail to see is that people being born and becoming productive members of society does not consume but rather creates the wealth from which all benefit. That is why economic figures, including tax revenues, always rise when taxes are cut — more money is released into the free market. Presidents including Republicans Dwight Eisenhower, Ronald Reagan, George W. Bush and Donald Trump recognized and acted on this truth. Democrats like John Kennedy and Bill Clinton did the same. Even Barack Obama got it, postponing his promised tax increase in an election year — so the economy would grow and look good — until his re-election was accomplished. The late international financial authority Larry Burkett, speaking a decade ago, affirmed that if only a third of those aborted had been able to go to work on their 18th birthday, the demise of Social Security would be postponed by decades beyond 2030. This is because the health of SSI is largely grounded in the ratio of workers to recipients. Do you think Chelsea Clinton plans to run for the presidency? In 1935, when the system was established, that ratio was 42-1. In 2030 it will be 2-1, an unsustainable margin by any calculation unless government simply confiscates half of every worker’s wages to support retirees. Abortion on demand undergirds this impasse by creating as many deaths as the Boomers created births. Is the economic cost of abortion a proof for or against the practice? Of course not; this is a question of life or death for millions and there is no way to price tag it. Elective abortion fouls the nest in which its eggs are (not) hatched across the board. It fosters an entire culture of death, although the only legitimate reason for culture is to foster life for those who belong to it. Many believe the sanctity of life is just one issue among many, and people like myself who make a big deal of it are afflicted with tunnel vision. Truthfully, protecting unborn life is indeed one of many culture-of-life issues, but it is a bellwether issue because of its definitive relation to a cultural worldview. Truth is, we either value life and make our subsequent decisions accordingly, or we do not. What we value most determines — ultimately — not just how we live but if we live. I’ll say it again: God forbid we place an economic value on human life. Yet if we must, let’s deal with real values and consequences. And if we must follow a political leader let’s seek one who lives in the real world. Say goodnight, Chelsea.